A recent acquisition presents the work of the American artist, book designer and author Edward Gorey (1925-2000), consisting of cover and typographical designs on paperbacks published by Doubleday Anchor Books of New York in the 1950s. Gorey worked for Anchor Books roughly from the mid 1950s to mid 1960s. The cover designs and typographical work are not always credited. For this reason, this body of commercial work is a lesser known aspect of Gorey’s artistry. 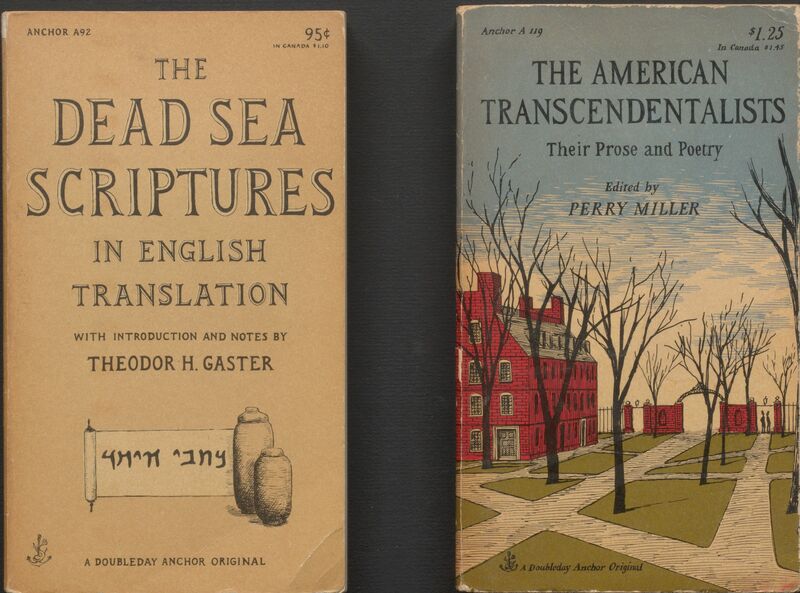 Examples are: the The American Transcendentalists, 1957; and the cover and typography for the non-fiction book, The Dead Sea Scriptures, translated into Engl ish by Theodore Gaster, 1957. They supplement very well the existing Gorey holdings as book illustrator, and are reminiscent of the work we associate with Gorey. 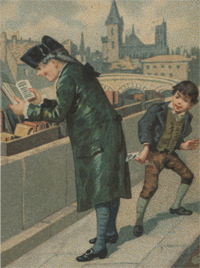 In Rare Books and Special Collections, the Gorey Collection of book illustration is comprised of eighty-eight volumes, mostly first editions and date from the period ca 1950 to 1980. As well, there is a small body of ephemera including book jackets by and articles about Gorey. Other links to Gorey’s work in are the editions of Albondocani of New York housed in the Colgate Collection section 6 on private presses – showcasing Gorey’s enchanting work in a handful of editions.